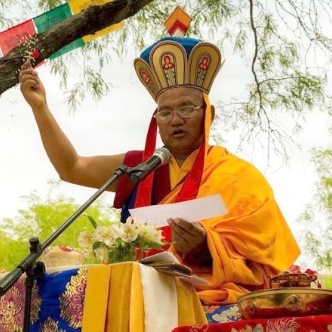 Yeru Bön Center is excited to be having both Latri Nyima Dakpa Rinpoche and Geshe Nyima Kunchap ceremoniously together to perform a week long daily Soul Retrieval and Chi-LU ceremony. The Chi-Lu ceremony is performed to strengthen our life force, revitalizing our La-Lu. This retreat was rescheduled to November to allow Latri Nyima Dakpa Rinpoche and Geshe Nyima Kunchap to be at the special ceremonies for His Holiness, the 33rd sMenri Trizin and His Holiness, the 34th sMenri Trizin at sMenri Monastery in September. For a Soul Retrieval and Chi-Lu to be performed, there are days of preparations, Tormas created for every year of your life, divinations, meditations and ceremony. From November 4th through November 6th, both Yungdrung Bön masters, Latri Nyima Dakpa Rinpoche and Geshe Nyima Kunchap will perform daily Soul Retrievals and the Chi-Lu ceremony. The Soul Retrieval (La-Lu) is a very powerful ceremony performed when your soul is weakened, lost or disturbed. This negativity affects and imbalances our life force, life span and your health.This is a rare and special occasion to have both together, for not only the Red Garuda, but the Soul Retrieval as well. Imagine two powerful Bön Masters together performing this powerful Soul Retrieval. Wow! Because of the timing it takes to do an authentic Bön Soul Retrieval, only nine people will be chosen for a personal Soul Retrieval. Three personal Soul Retrievals per day. 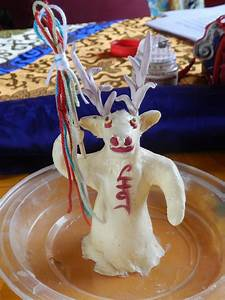 Tormas will be made for each of their birth year, divinations and blessings. But…. they invite anyone who feel they would benefit from a soul retrieval and although it would not be a personal Soul Retrieval with Tormas and other needed items specific for you, being a part of the ceremonies will give tremendous benefits and blessings just by being a part of the ceremonies. You will also receive the blessings of the Chi-Lu ceremony and this will revitalize your life force. You will experience and feel the power of an authentic Bön Soul Retrieval and Chi-Lu performed by two powerful Yungdrung Bön Masters. This powerful ceremony will be held at the Yeru Retreat Center, in front of the blessed Garuda Lake. This is also the beginning stage of fall (transformation). The perfect place for a special Soul Retrieval Ceremony and Chi-Lu. Feel free to bring your significant other to join you. They do not have to participate in the ceremonies, but can enjoy being at Garuda Lake. When our soul is weakened, lost or disturbed, the negatively affects and imbalances our life force, life span and our health. This ritual offers deep healing and transformation when we face conditions like sickness, untimely death, trauma, a care taker who spent years with a very ill person, unexplainable illness, lack of vitality and interest in life. Recognize your powerful internal and external sources of healing. Awaken your inherently joyful and creative nature. Bring increased happiness and well-being to others. This Ritual/ceremony is taken from the 8th century Bön text, Tse Drup Jha Ri Ma. It was transmitted orally to Lama Tsewang Rigzin by the Dakini Yum Chen Thuk Je Kundrol. Yeru Bön Center is honored to have this rare event and to present a Soul Retrieval performed jointly by Latri Nyima Dakpa Rinpoche and Geshe Murig Nyima Kunchap, masters of Sutara, Tantara and Dzogchen in the Bön Traditions. this is a blessing indeed. November 3rd: Making of the Tormas and preparations for the individual Soul Retrievals. November 4, 5 and 6th, A Soul Retrieval Ceremony will be performed for each day. Three people will have their Soul Retrieval per day. On Registration please choose which day you would like scheduled for you. You can arrive as late as the day before your scheduled Soul Retrieval. You can come as early as September 10th, unless you are already going to be at the Red Garuda Retreat, then you can continue your stay. You can leave the day after your Soul Retrieval or … continue in retreat and you are welcome to stay for the One Year Anniversary Ceremony which is on the 14th and if you would like can stay for the weekend. Participation: As we mentioned, even though you may not be able to have a personal Soul Retrieval, you can come. You will receive the powerful blessings of the Soul Retrieval and the Chi Lu. This is a wonderful time to come for these blessings, enjoy your stay at the Retreat Center and visit with our Masters. Everyone who participates/registers will receive the video of the Soul Retrieval practice to have as soon as you register. You will have the mantras and the practices to prepare for the Soul Retrieval before your arrival. Note: The One Year Anniversary Ceremony for His Holiness, the late 33rd sMenri Trizin is being put on by the Tibetans from Chicago, Minnesota and New York. We welcome anyone interested in being a part of this ceremony to feel free to join. There is no fee for this ceremony, but a donation is requested for the Lamas and meals. Latri Nyima Dakpa Rinpoche, Geshe Nyima Kunchap and possibly Kundrol Rinpoche will officiate the Ceremony for His Holiness, the late 33rd sMenri Trizin. This event will be held at the Yeru Retreat Center located in Emily Minnesota. 2.5 hours from Minneapolis. This could also be a valuable time to incorporate not only being a part of the Soul Retrieval, but if you do not want to be a part of each soul retrieval ceremony, you might want to stay a couple of days for a personal retreat, especially since there will be two or three Monks at Yeru Retreat Center during this time. Your housing area would be set up for your personal retreat. 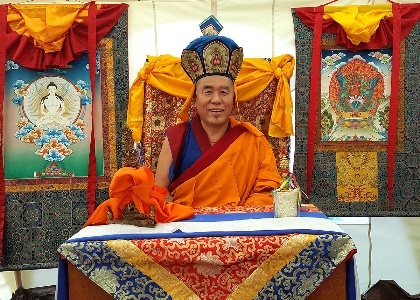 (For example, if you are interested in having a personal retreat to work on Sidpa Gyalmo or any other practice you would like to work on, your housing space would be set up as your personal retreat with Thangka and other items needed) Rinpoche and/or Geshe Nyima Kunchap will create a schedule and talk with you, to ensure you have a wonderful personal retreat) For more information contact Yeru Bön Center at 952-300-6111. During this time of the Soul Retrieval, the fall colors will start to change, the lake will show brilliant colors, you may want to take a boat, canoe, kayak or paddle board out to fill your soul with the blessings of Garuda Lake. Enjoy a Bonfire, enjoy being with other Bönpos. It would be your special time. You can bring your significant others as well. If timing works out, you might want to consider being a part of the Red Garuda Retreat or the One Year Anniversary of His Holiness, the late 33rd sMenri Trizin’s journey. There is no fee to be a part of Anniversary ceremony on September 14th. Visit yeruboncenter.org for more information on the teachings. Depending how many people are traveling from the airports, we may provide transportation. We usually set up a rental car/van and car pool our guests to the Retreat Center. If you are within driving distance, we can help set you up with a car pool group. Normally Geshe Nyima Kunchap charges $1200.00 for a Soul Retrieval. But, has agreed to charge $800.00 for this life altering authentic Bön Soul Retrieval. This fee is for three Soul Retrievals per day. A $400. savings. On registration you are given the Soul Retrieval Teachings which include the Mantras and preparations for your Soul Retrieval. Your options are: All housing areas include bedding and meals. Cabin rooms – There are shared cabin rooms or private. Bön Huts – All of the huts are cozy and decorated with Thangkas, and Bön artwork. 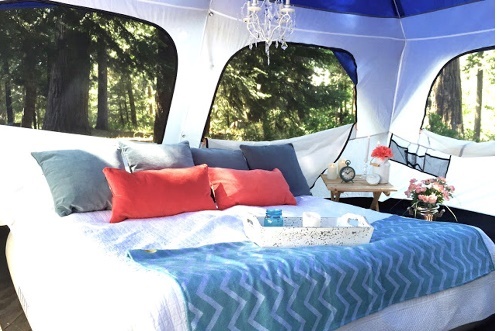 Tents/Yurts – Our tents come with beds, chairs. They are large 10x10x10. Comfortable and cozy. This summer, all our tents will have lighting and heating. But really, September’s temps average about 70 – 75 degrees but heat will be available. Meals are made fresh and your choice of meat, vegetarian or vegan. Meal fees are part of your housing fees. Enjoy our tent dining area with a fire pit. Yeru Bön Center works at making sure your time at Yeru Retreat Center is magical, personal and spiritual to ensure your journey for a teaching is special. Finally, If you are interested in being a part of the Latri Nyima Dakpa Rinpoche and Geshe Nyima Kunchaps Soul Retrieval, please register early to ensure your space, not only for the ceremony, but housing. Yeru is happy to work with payments and other options, if you have any questions, please contact Yeru Retreat Center. Because students are considering staying after the Red Garuda Retreat, private retreat or participating in the one year anniversary of His Holiness’s the late 33rd sMenri Trizin’s ceremony. We strongly advise you to contact Yeru Bon Center regarding available housing. Housing is confirmed after you have registered, but feel free to contact Yeru Bon Center prior to your registering. Yeru Retreat Center was established to be the home of Bön teachings for both short and long retreats. A place that was welcoming, beautiful lake, private location in the wilderness of Minnesota. Bön teachings about nature, and balance for our environment and the balance of our Mind, Body and spirit. 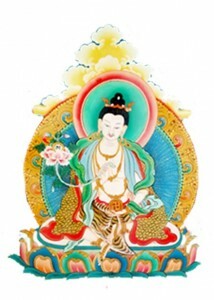 Yungdrung Bön is known as the most ancient unbroken spiritual traditions. Yeru Retreat Center offers the sound of nature from our woods and lake. It offers peace and tranquility for all who come. Yeru Retreat Center is the perfect place to allow our Bön monks and teachers to teach the authentic teachings of Bön to their students here in the Western world. Single or dormitory ~ Except for tent space, all rooms and Yeru Retreat Center tents include mattress, bedding sheets, blanket, pillows, lighting and heating. Important – Yeru Retreat Center is located in the woods of Minnesota, it can rain or snow depending on the time of the year. Please be mindful of what you might need. Although we provide sheets and blankets, free to bring a sleeping bag or other essentials you feel you might need. There are sleeping bags located at the Retreat Center, call ahead to reserve a sleeping bag, if you wish. Meals – Your fees include meals. Yeru Retreat Center prepares meals family style. Clean healthy foods: Vegetarian, Vegan and regular meals are prepared. If you have a special diet, please contact us or feel free to bring your own easy to prepare meals. Pricing varies depending on the amount of people in need of transportation, could be less, but not more than $71.00 per person. Until our Yurt/Shrine room is completed in the fall of 2017, our shrine room is located in a very large tent with cathedral windows. All teachings will be done in the shrine room. There will be another large community tent set up for people to visit, use your computer, sit, relax and enjoy. During break times, early morning or evening hours, feel free to take one of the canoes, row boats, kayak or paddle board out on the lake, take a swim or relax on the beach area. Watch for the eagles as they fly by to greet us. You will hear the sounds of the owls as they sing for us and the wood peckers. You will see and hear the sounds of the Minnesota Loons, the swans and more amazing. Perhaps you might get lucky to see a northern lights display.